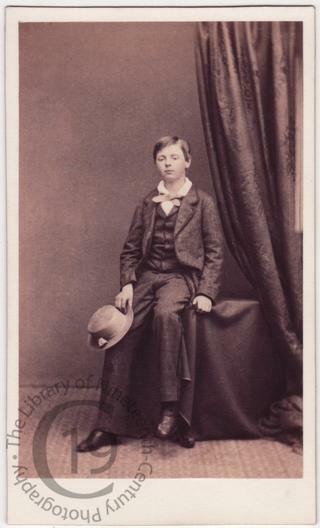 Born on 26 April 1848, Hon Randal Parsons was the second son of William Parsons, 3rd Earl of Rosse. His father was an astronomer and former President of the Royal Society. His 'Leviathan' at Parsonstown in Ireland, built in 1845, was the world's largest telescope until the early 20th century. Randal Parsons was educated at Trinity College, Dublin. He became a deacon in 1872 and was ordained a priest in 1873. In 1880 he was instituted to the Rectory of Sandhurst in Berkshire. On 9 August 1876 he married Eleanor Victoria Mackarness, daughter of John Fielder Mackarness, Bishop of Oxford. He died on 15 November 1936, aged 88. Photographed by Hennah and Kent of Brighton.